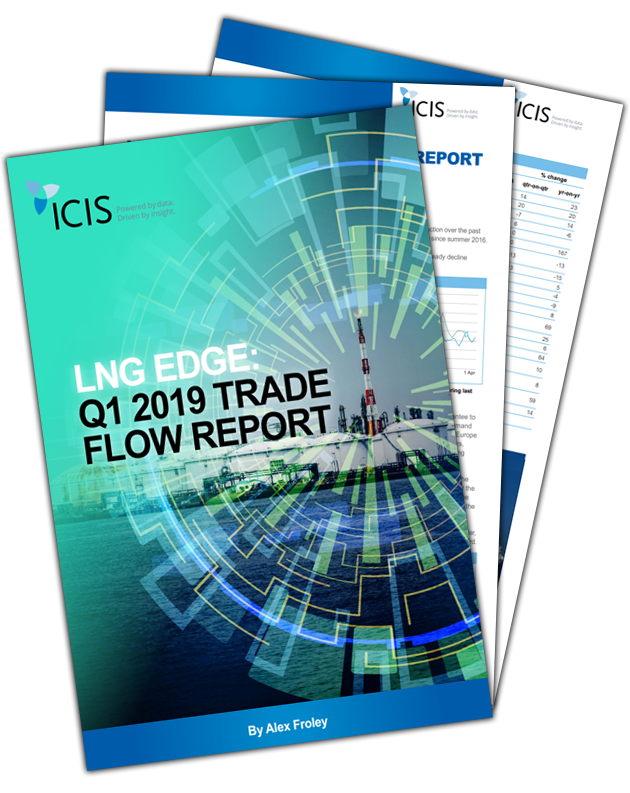 Global LNG exports increased 14% year-on-year to 88m tonnes in the first quarter of 2019 on the back of new production from Australia, Russia and the US, and a strong performance from existing capacity in Qatar. China Q1 imports were up by 25% from the year before, and Bangladesh and Pakistan are increasing their intake. Despite this, overall global demand growth fell behind the rate of increase in supply. Global LNG imports increased by 7% year-on-year in the second quarter (Q2) of 2018, with continued strong growth in demand from China.